Following Nikon's announcement at CES 2019 of a Nikkor Z 14-30mm f/4 S ultra-wide zoom lens for its Z6 and Z7, the company has revealed that it's working on firmware to add Eye AF to its first full-frame mirrorless cameras. Eye AF is a feature that's impressed us in the likes on Sony's Alpha A7R III and A7 III, and we felt it was something that was missing from the Z6 and Z7, so it's great to see that Nikon is paying attention to user feedback. 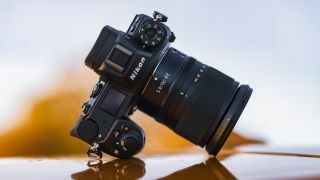 Nikons says Eye AF, which will see the cameras automatically detect a subject’s eyes to make attaining critical focus easier, is "under development". Along with Eye AF, Nikon has also announced that it's going to be adding support for raw video output via firmware. This feature will work with the ATOMOS Ninja V to output video in raw format, using the ProRes RAW codec. Finally, Nikon is also planning to make the Z6 and Z7 compatible with CFexpress memory cards, which share the same form factor as the XQD memory cards the cameras use. A release date for the new firmware updates is still to be confirmed.